Spyderco has done it again. No other company is as customer centric as to offer their models with so many options. 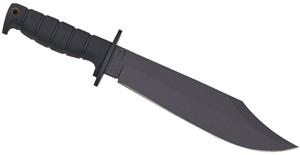 They are offering their full sized Military model with CPM S90V steel– a real rare offering in the knife industry. This is a very hard steel with great edge holding qualities. Also on this model are the textured carbon fiber handles they also offered on the Military with BG42 steel blades. Spyderco introduces a double blade folder with double liner locks! This is a great, medium size folder. Each blade is over 3″ long and so most people will feel this is a full size knife. Each blade has its own liner lock. As is the entire Byrd line, these are made in China and their price reflects this – the quality is still great. 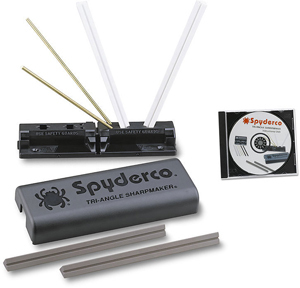 Spyderco wouldn’t ship out any sub-par products. Spyderco Enduras and Delicas with G-10 Handles. Benchmade’s rescue/dive knives have been popular for years. They have offered this model with a yellow or a black handle. Now, they have a more tactical model with a black handle as well as a black blade. Spyderco Knives has released the first product in their main line to be manufactured in China. 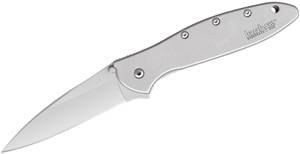 The Tenacious folders are a classic Spyderco design with a liner locking blade and G10 handles. The fit and finish are great and the price is extraordinary! The Smith and Wesson custom folks have done it again. They have produced a beautiful Sub Hilt fighter with false top edge. Genuine Buffalo horn adorns the handles, and the finish work on the guards is awesome. A great knife for $44.95 – a great price! See all Smith and Wesson products here.